because it's not quite clear whether it's late winter, early spring, or full-blown summer. in other areas, some of you poor souls are dealing with BELOW ZERO temps! forget nature. 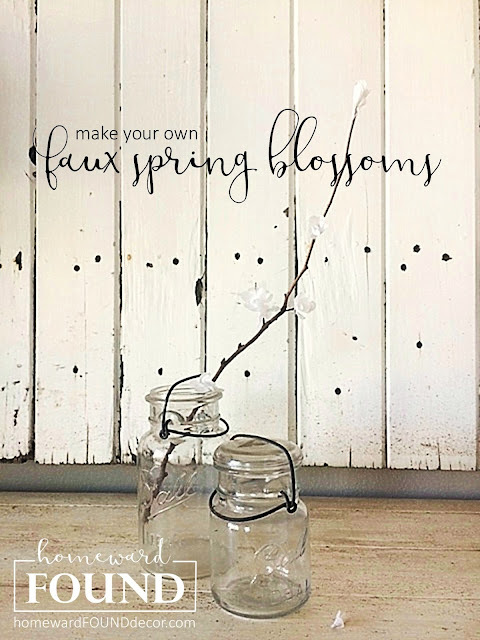 make your OWN spring blossoms!!! 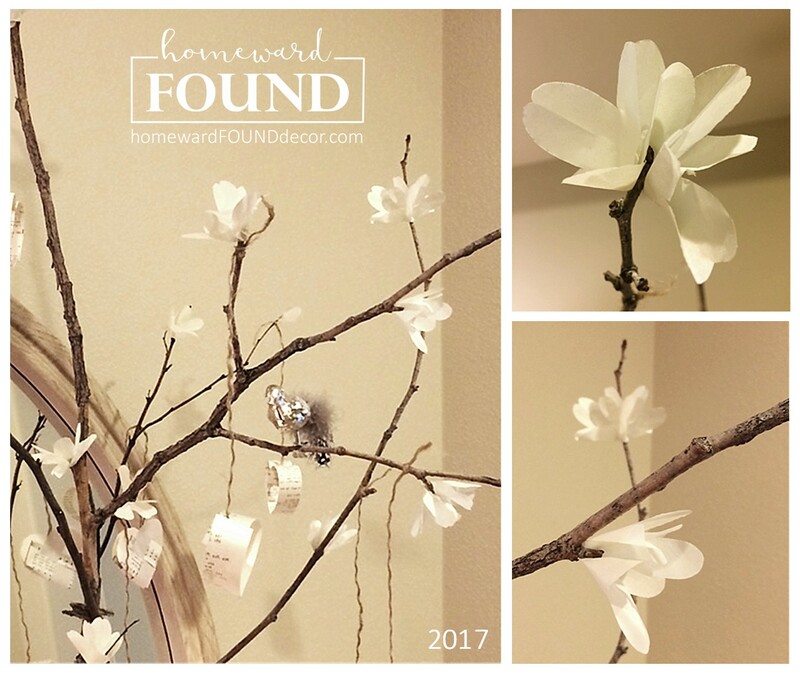 the blooms are made from white tissue paper. or white paper napkins. or white toilet paper. yes, seriously. any thin paper will do! actually, so would thin fabric. making them round in shape and about the size of a 50 cent piece. 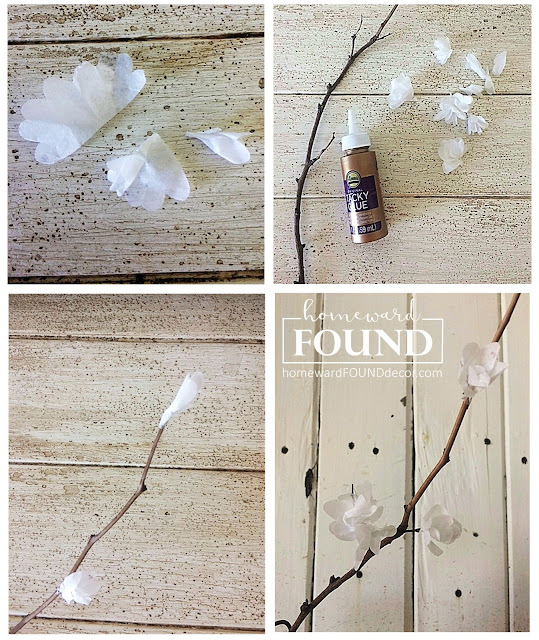 * keep some whole and bunch them up by pinching the center, forming a 'stem' in the back. * cut some in half and roll them into tinier 'buds' with a 'stem' on one end. * glue them onto a twig - grab one from a dormant tree in your yard or roadside. with the 'blossoms' gradually getting larger as you move down the branch, for a realistic look. oh darling, i did the freezing cold stuff for years when i lived in Idaho, Lake Tahoe, Lake Arrowhead, then Washington state... so i understand the appeal of living in beautiful places that get ccccccold. but NEVER did the temps get THAT low! (i've lost all of my 'cold weather credibility' since moving back to so cal six years ago and my kids laugh at me now) stoke the fire, and make some hot chocolate with peppermint schnapps to keep you warm, Miss Diana!